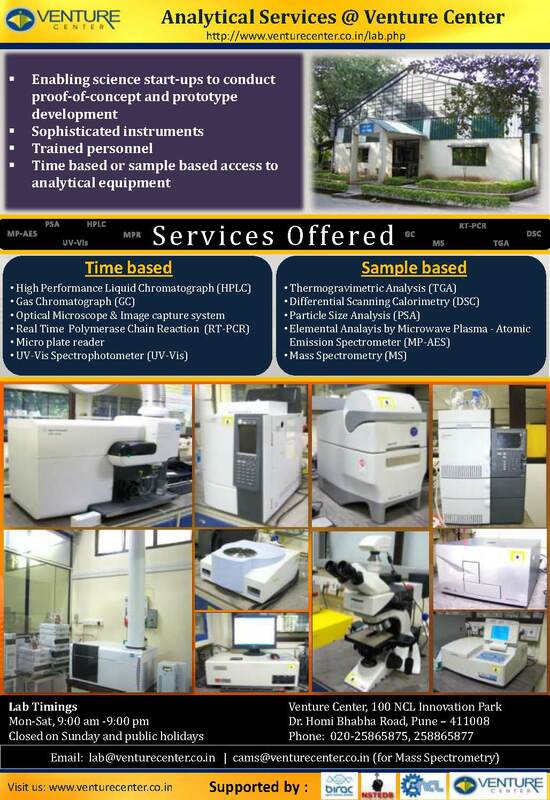 The National Chemical Laboratory (NCL), Pune today announced that its technology business incubator shall be formally inaugurated on 18 December 2006 by Prof Sir Richard Friend, Cavendish Professor at Cambridge University and Founder and Chief Scientist of two technology start-up companies: Cambridge Display Technologies Ltd and Plastic Logic Ltd. The Venture Center inauguration shall take place at the NCL Innovation Park office of the Venture Center with a traditional Indian lamp lighting ceremony. Prof Friends shall be joined by Dr R A Mashelkar, Director-General, CSIR in inaugurating the Center. The event shall also be graced by Dr S. Sivaram, Director, NCL. Prof Sir Richard Friend is a highly decorated and renowned materials physicist who has made seminal contributions to the physics and engineering of semiconductor devices made with carbon-based semiconductors. His research group has shown that semiconductor polymers, such as poly(phenylene vinylene), can be processed to form high-performing semiconductor devices, and were the first to demonstrate using polymers clean operation of field-effect transistors (1988), light-emitting diodes (1990), efficient photovoltaic diodes (1995), optically-pumped lasing (1996), and directly-printed polymer transistor circuits (2000). This work has revolutionized the understanding of the electronic properties of molecular semiconductors, which are now recognized to be very suitable for use in semiconductor devices. It has also made possible new applications for semiconductors, particularly for solid-state light-emitting displays using polymer light-emitting diodes. Products based on these discoveries are now in the market. Prof Friend has developed this work both within the University of Cambridge and also through the formation of two companies, Cambridge Display Technology and Plastic Logic. 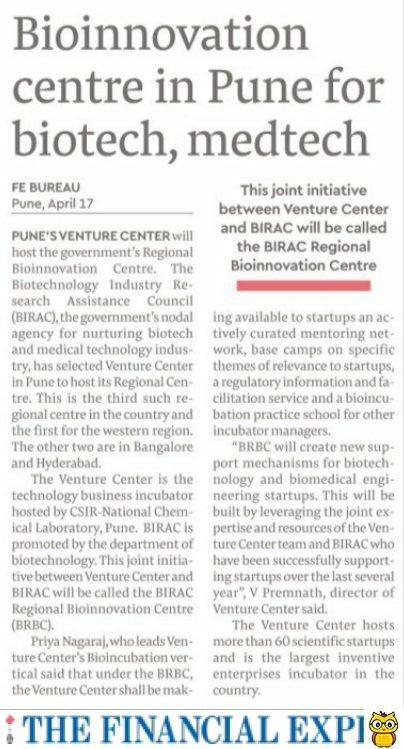 Given Prof Friend's credentials as an exceptional scientist who has been highly successful in translating high-quality laboratory science into commercially viable products with enormous potential, he was the natural choice for inaugurating the Venture Center. The Venture Center is a technology business incubator with a mission to nucleate and nurture technology and knowledge-based enterprises. Key activities of the Venture Center shall include a) providing space, facilities and services for new start-ups. (Includes shared labs for chemistry & materials science, physics & engineering, biology, prototyping and fabrication, and analysis, b) creating the environment, building resources and making available opportunities for new venture creation, and c) put in place mechanisms to make readily available & accessible know-how support, business support, administrative support and financial support. The Venture Center is expected to specialize in manufacturing companies in the areas of biomedical products and devices, niche chemicals and nano-materials, specialty materials science products for various sectors such as packaging, infrastructure, automotives and lifestyle products, select biotech products and niche scientific instruments and tools, and software and services companies in the area of process design and simulation, research and technology management consulting, IP management services, Information research/ resources and scientific intelligence services, and drug discovery services. The Venture Center will begin skeleton operations on 18 Dec 2006 with a phased roll-out of programs, facilities and services throughout 2007.